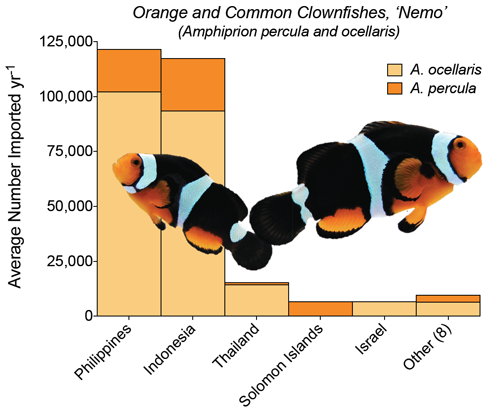 Looking for Nemo? We found him! Looking for Dory? We found her! 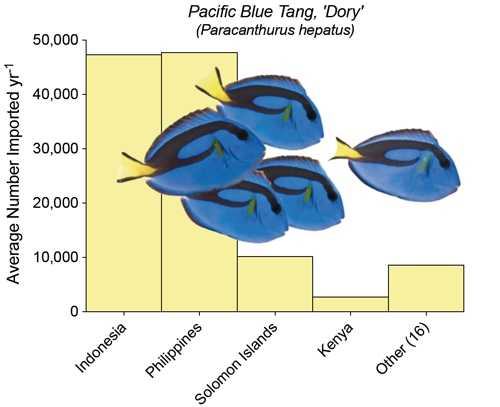 Dory is a blue tang (also called the regal tang, hippo tang, palette surgeonfish, Paracanthurus hepatus). 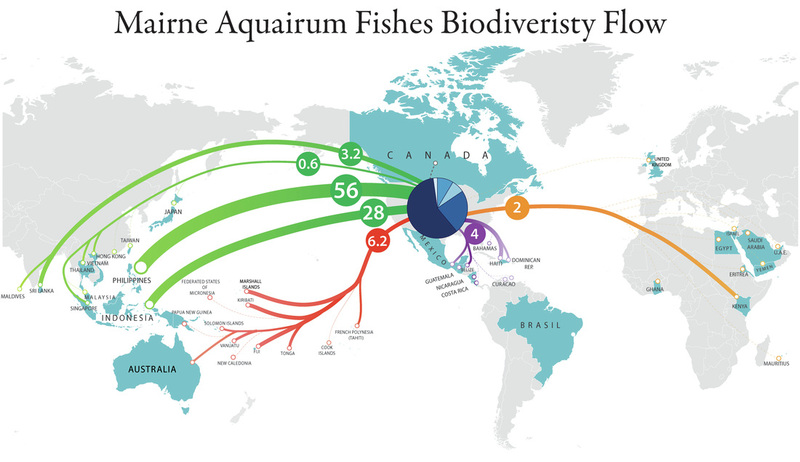 Most of the blue tangs imported into the US for home aquariums come from the Philippines or Indonesia. Blue tang should be considered an advanced species to care for in home aquariums. Contrary to what popular movies may say, tangs are very difficult to breed in the laboratory. IT IS ALSO CRITICAL TO NOT RELEASE ANIMALS BACK TO THE WILD. Wildlife Crime Technology Challenge Prize Winner, click to learn more!